Haiti’s Ministry of Public Health and Population has established sentinel Zika surveillance and laboratory testing and has implemented a public health response to Zika. This toolkit is a suite of tools and resources to help health departments educate and inform healthcare providers to identify, counsel, report, and follow infants born to pregnant women with laboratory evidence of Zika virus infection. 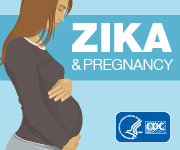 We invite you to use this toolkit to raise awareness about the U.S. Zika Pregnancy Registry and improve reporting and completeness of data collected. CDC, in collaboration with the CDC Foundation, will convene a two-day meeting February 27–28, 2017, to exchange facts and information about options and methods for monitoring and controlling Aedes aegyptii mosquitoes and to reduce the burden of illness in people from Zika and other diseases transmitted by this mosquito. More than 150 expert scientists from around the world have been invited to report on the state of the science, successes and challenges of existing mosquito control options, innovative methods to control mosquitoes, and to give input on the design of large, well-controlled epidemiologic studies to evaluate these tools. The opening and closing sessions will be webcast. Early estimates indicate that flu vaccines this season have reduced a vaccinated person’s risk of getting sick and needing medical care because of flu by about half. During the 2016-17 flu season, Vaccine has been 43% effective against the predominant influenza A (H3N2) viruses and 73% effective against influenza B viruses.